[Today] the challenges that so many companies are making are more than a response to “globalization”. They denote nothing less than the obsolence of the corporate model many of us have grown up with. For some pople it won’t be easy to let go of old concepts, old hierarchies, old sources of power-but it’s mandatory to think anew. Baxter International, in Review, 1990. “Frederick Winston Taylor is high in the pantheon of American engineering heroes (Copley, 1923). In his obsessive optimization of individual rigid separation of thinking from doing, Taylor is the paradigmatic manufacturing engineer. Taylor is important, not merely because he made revolutionary contributions to the manufacturing canon, but also because the general style he set became the universal paradigm for American engineering practice and for engineering education, and remains so even today. The absence of goal-definition phase in normal engineering design practice. Engineering practice in a vacuum, without regard to human factors. The hierarchical, nonprofessional style of current American engineering practice. The fantasy of “value-free design”. Strong emphasis on individual reward for individual effort. Analogous to Taylor’s procedure of breaking down the manufacturing process into elemental steps, the first step in the engineering design process is the careful division of the overall task into simple sub elements and assigning these parts to individuals or teams for detailed design. This is so simple and obvious, and it works so well in certain practical design tasks and in engineering design education, that we may fail to understand the deeper implications of this step. But these are only a few of the more obvious implications of the analytic “bottom-up” Tayloristic approach to engineering. One other implication may be somewhat less obvious. The classically trained engineering “bottom-upper” accepts the goals of a project as given. Such engineering goals are embodied in the “specification sheet”. How could it be otherwise? The classically trained engineer may ask. How can one design or manufacture something without a specification sheet or a blueprint? This question may be perfectly logical when applied to a conventional, well understood object but irrational when we face the unknown. By insisting on a well developed and complete set of specifications before one can begin the design and production of a new and untried object, the engineer removes himself from the most exciting, creative step; helping to set the specifications in the first place. But this is exactly the way we currently tech engineers to think and to design. In engineering education, the Tayloristic approach seems so obvious that it is universal. We begin with the simplest mechanisms and equations, then proceed step-by-step to more complex devices and mathematics, in a bottom-up manner. Thus, the budding engineer is taught without words to accept engineering reality as susceptible to decomposition into simpler sub-units best handled in isolation, a hierarchical management approach with professors as “bosses” who “think” and students as “workers” who “do,” and an absence of discussion of goals, except for questions that are meant to elicit what the boss wants. If engineering educators inculcate reverence for inviolate specifications, as we continue to do, we are also implying that goals are external to the design process and are to be set by someone else. This absence of the goal-definition phase is the second major distinguishing feature of conventional Tayloristic engineering practice that is crippling our national attempt to regain manufacturing leadership in world markets. The third crippling attribute is the engineering practice in a mechanistic vacuum, without regard to human factors. Human factors must enter into the design, production, use, and especially product retirement. Yet, none of these essential steps is considered currently in engineering education. Humans will use the objects we design and build, but we engineers easily divorce ourselves from responsibility to these human users if we can. A fourth debilitating attribute of current American engineering practice is its hierarchical, nonprofessional attitude. Conventionally trained engineers accept that they do not have a say in setting specifications for the design object, or in how the product may be manufactured, or in providing graceful retirement from service. They accept that they are not professionals with an overarching professional responsibility to society for their work. They accept the fact that they are employees and thus should be told what to do. And we engineering educators seem to agree. For the mots part, we are not registered professional engineers, and we do not encourage our students to look upon themselves as professionals in training, with professional registration as the confirmation of professional status. The fifth element in current American engineering practice that gives me concern may grow out of the dehumanizing attitude mentioned as number three above. It is the fantasy that engineers are engaged in value-free design. This can lead to the belief that designers and builders have no responsibility for the use to which our products are put. One of the primary features of Taylorism is insistence on a rigid separation of thinking from doing. Taylor prohibited participation by production workers in the organization, planning and direction of the manufacturing process. Taylor required his workers to do exactly as they were told to do and no more. This authoritarian stance is carried over into engineering education through its rigid exclusion of students from participation in the planning, organization, and direction of the education process. We all learn by example, and this is one of those debilitating attitudes engineers learn without being conscious of it. This text has been extracted from John E. Gibson (1992) Manufacturing Systems; foundations of world-class practice. Pp 149-157. National Academy Press; Washinton, 1992. The company’s proactive and unprecedented recall and sales halt, while expensive in the short term, may protect its image. As in any good relationship, open communication is vital and Toyota Motor Corp., which recently suspended production and sales of eight models suspected of having sticky accelerator pedal problems, now has the perfect chance to show the world how healthy a relationship it has with its customers. The recall and sales halt, which most industry observers agree was the right move, has generated different discussions about the company’s renowned quality expertise. “Toyota has built this reputation on quality and reliability and safety and being a practical choice. When consumers start questioning that, it really can damage them in terms of reputation, especially when Hyundai, Ford, Honda, Subaru, and Nissan offer great choices and are coming up in quality ratings,” Jake Fisher, an automotive engineer for Consumer Reports, told Reuters. However, Toyota could minimize the adverse effects of the recall and sales halt depending on how well the company communicates with its customers, according to Dave Sargent, vice president of the global automotive division at J.D. Power and Associates. As far as the impact on overall customer satisfaction of the Toyota brand is concerned, Sargent isn’t convinced Toyota will take that big a hit. It’s still unclear what Toyota is going to do as a definite measure to fix the problem, but Sargent is certain that Toyota is not going to risk it’s highly valued reputation by releasing the affected vehicles before the problem has been clearly identified and fixed. Meanwhile, The National Automobile Dealers Association (NADA) is encouraging Toyota dealers to verify whether or not they have business interruption insurance that might help them endure this crisis. “This is creating a very difficult situation for dealers, in an already tough market. NADA is working with Toyota to identify a plan to help get dealers through this,” the association said in a statement. Last year, the Japanese automaker issued a recall of vehicles to reduce the risk of pedal entrapment by incorrect or out of place accessory floor mats, according to a company statement. Approximately 1.7 million Toyota Division vehicles are subject to both separate recall actions. Toyota’s accelerator pedal recall and suspension of sales is confined to the following Toyota Division vehicles: 2009-2010 RAV4, 2009-2010 Corolla, 2009-2010 Matrix, 2005-2010 Avalon, Certain 2007-2010 Camry, 2010 Highlander, 2007-2010 Tundra, 2008-2010 Sequoia. Is it time for TPS II? What the world’s biggest carmakers can learn from other corporate turnarounds. “Less than two years ago Toyota swept past an ailing General Motors (GM) to become the world’s biggest carmaker. Now its newly installed boss, Akio Toyoda, the 53 year old grandson of the founder, says that the firm could be locked in a spiral of decline. Toyota is still a hugely formidable company, and some within the industry (and inside Toyota itself) believe that Mr Toyoda may be overstating the case. Yet there is no shortage of signs that all is not well. Toyota’s story has implications beyond the motor industry, for it is not just a car company; it is the model for manufacturing excellence whose “lean” techniques have been copied by countless firms. How it slipped up –and how it may right itself –carries lessons for others. Althought some of its rivals, notably Volkswagen of Germany and Hyunday of South Korea, have come through the terrible past year relatively unscathed. Toyota’s market-share has either fallen or been flat in every region in which it operates except Japan—a market that was shrinking well before the crisis struck. In America, its biggest and normally most profitable market, Toyota has been plagued by highly publicised recalls that have raised embarrassing questions about the safety of its vehicles. In China, India and Brazil, the big emerging markets that will provide nearly all the industry’s future growth, Toyota has been slow of the mark. Its lead in hybrid technology is under threat as other big carmakers scramble to bring low –and zero –emission vehicles to market before low –carbon legislation bites. Astonishingly, in the first three months of 2009 it made an even bigger loss than GM, which was then on the verge of bankruptcy. Underlying all these problems is an uncomfortable truth: Toyota’s rivals have now caught up. They now offer cars that are just as reliable but far more exciting than the rather dull vehicles Toyota has concentrated on producing in ever –larger numbers. A bit of vroom needed. Toyota can also learn from the woes of other carmakers. A decade ago Ford thought it had found a saviour in the dynamic Jac Nasser, who declared his intention to transform the firm from an old –economy carmaker into a nimble, internet-savvy, consumer powerhouse that managed brands and sold services. He also went on a wild acquisition spree, paying huge sums for Volvo and Land Rover. Unfortunately, amid Mr Nasser’s cultural revolution, Ford lost sight of its main purpose: building decent vehicles as efficiently and profitably as possible. That is what Ford is reaping the rewards for doing now, under the less exciting but steadier leadership of Alan Mulally. Toyota, too, has a good chance of putting things right. It is no GM, which had far deeper structural problems before it used bankruptcy to off-load some of them. It has a boss who understands what has gone wrong –namely, that it has jeopardized its formerly stellar reputation for quality by pursuing volume at all costs and by failing to put the needs of its customers first. It has started to sort out some of its problems. Quality and reliability are getting back up to the mark. Now it needs to make more exciting and innovative cars. The machine that changed the world…… 20 years ago!! “	So far we’ve talked about innovations that involve the introduction in production vehicles of ideas already fairly well understood on the technical level. We’ve listed a number of advances of this type in the 1980s, and many more will be available in the 1990s -in particular, the application of electronics to mechanical vehicle systems such as vehicle suspension and the availability of mobile communications at lower cost in a much wider variety of vehicles. But what about epochal innovations– really big leaps in technological know-how such as would be entailed in workable fuel-cell power units or all-plastic body structures or sophisticated navigation and congestion-avoidance systems? As we will see, the 1990s may prove a time for such innovations. Can lean producers respond to these much more daunting challenges? In fact, the world auto industry has lived during its first century in a benign environment -demand for its products has increased continually, even in the most developed countries; space has been available in most areas to expand road networks greatly; and the earth’s atmosphere has been able to tolerate ever-growing use of motor vehicles, with minor technical fixes in the 1970s and 1980s designed to solve smog problems in congested urban areas. Shortly, the environment for operating motor vehicles may become much more demanding. “	…Our goal is to specify the ideal enterprise in much the way buyers of such a craft-built cars as the Aston Martin used to specify the car of their dreams. Unfortunately, no such dream machine currently exists, so we will create it: Multiregional Motors (MRM). An integrated, global personnel system that promotes personnel from any country in the company as if nationality did not exist. Achieving this goal obviously will require great attention to learning languages and socialization and a willingness on the part of younger personnel to work for much of their career outside their home country. However, we already see evidence that younger managers find career paths of this type attractive…. Womack P. James, T. Jones Daniel & Roos Daniel (1990) The machine that changed the world. How Lean Production revolutionized the Global Car Wars. Ed. Simon & Schuster UK, Ltd. UK. As the book ‘ Springtime for Germany: or How I learned to Love lederhosen’ discusses, I decided to spend my holidays in Germany. After hiring a car in Düsseldorf, we drove 1800 km around Deutschland, including Hambur, Celler, Braunsweig, Melzungen, and visiting the 2009 edition of the IAA in Frankfurt. I have been present in the rise of electric and hybrid vehicles between nearly all the main automobile manufacturers and I would like to share the images that have shocked me more. I hope you enjoy them aswell, you have still time to visit the Messe until next weekend. In spite of the deep crisis in the automotive industry, several large carmakers are taking a gamble on a technology that has not yet proved it can win over consumers – electric cars. National and local governments globally, including the US, the UK, Japan and Australia, are abetting this drive into the unknown with generous subsidies and tax breaks for zero- and low-emission vehicles due to launch over the coming three years. Carlos Ghosn, chief executive of the Renault–Nissan alliance, which has the biggest plans for battery-powered cars, this month unveiled in Yokohama the all-electric Nissan Leaf. Mr Ghosn dismissed the notion – voiced by many analysts and some competing carmakers – that the limited driving range of electric cars, their higher price and need to recharge regularly will limit them to niche markets. “We see this as a mass market car,” he said. Nissan wants to sell 200,000 Leafs globally by 2012. In keeping with Mr Ghosn’s bullish view, Renault will next month unveil in Frankfurt a range of several all-electric cars aimed at “different kinds of uses and consumers”, according to the company. Rival Japanese carmaker Mitsubishi last month began taking orders for the i-MiEV, a car that can drive 160km (100 miles) on a single electric charge. This is enough for most commutes, and the same range Nissan and Renault are promising for their vehicles. It will go on sale to commercial buyers from this year and consumers from next April. Daimler this year will begin production of a second-generation electric version of its Smart Fortwo minicar. The model will be equipped with lithium-ion batteries supplied by Tesla, the private California-based electric car company in which Daimler bought just under a 10 per cent stake for €50m ($70.7m) in May. Tesla itself began selling electric roadsters in the US last year and in June opened the first of four planned European dealerships in London. Mr Ghosn said at the launch of the Leaf that he thought pure electric vehicles could account for 10 per cent of all new car purchases by 2020. PwC, in a recent report, estimated that the market could account for 2-5 per cent of total output of light vehicles by that year. However, many analysts are sceptical that the optimistic forecasts will pan out, given the limited driving ranges and high initial price. “The technology isn’t there yet with the batteries to do more than 100 miles reliably and if you turn on the air conditioning or heating, it’s less than that,” says Al Bedwell, an automotive technology analyst with JD Power. “It’s a limited market. Toyota, Nissan’s local rival and the global industry’s biggest producer, has said that electric cars are best suited for short distance urban commuting and delivery vehicles. In January the company unveiled the FT-EV, a small electric car it wants to mass-produce by about 2012. However, Toyota spends more time speaking about its hybrids, including a plug-in car due to launch this year that can top up its battery via an electric outlet, but still have recourse to a petrol engine. Thomas Weber, Daimler’s head of research and development, recently acknowledged that large-scale zero-emission driving at affordable prices “won’t become a reality overnight”. The company plans to produce about 1,000 of its electric Smart cars this year. Mitsubishi, the first volume carmaker to launch an electric model, says that it would sell only about 1,400 to fleet customers this year – mainly corporations and local authorities – but hopes to sell 30,000 annually by 2013. 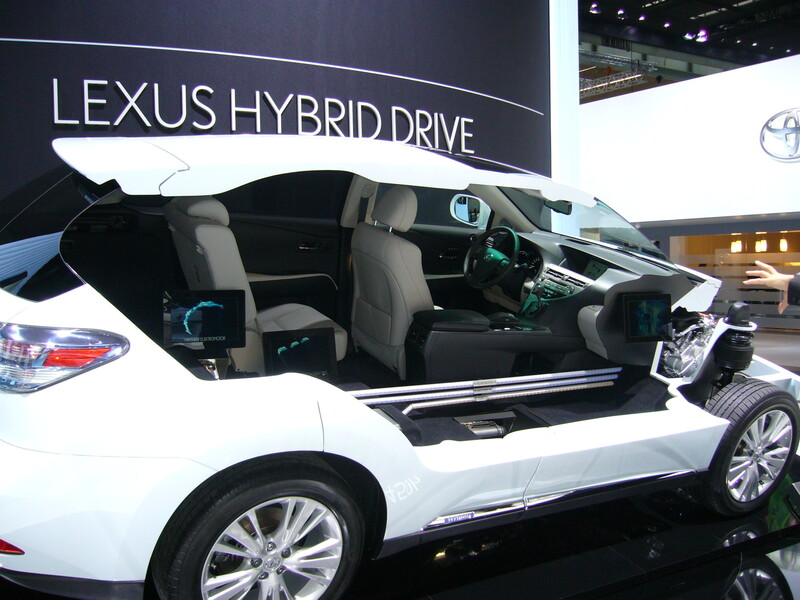 If hybrid cars are any indication, many consumers will baulk at electric cars’ high initial price. Global sales of hybrid cars are rising, but still account for less than 1 per cent of light vehicle sales, in part because of the premium they command over comparable conventional cars – up to $5,000 in the case of the Toyota Prius. In the US, the biggest market for hybrids, their sales have dropped further than the industry average during the downturn. Meanwhile, PWC estimates that all-electric cars will cost $7,000-$20,000 more than comparable conventional cars. To defray some of the cost to early adopters, Britain is one of several governments that will offer their buyers tax breaks, worth up to £5,000 ($8,225) from 2011. US buyers of plug-in cars – such as General Motors’ Chevrolet Volt, launching next year – will benefit from a tax break worth $7,500. In Japan, Mitsubishi’s tiny i-MiEV will have a list price of more than $48,000, or about three times the price of its petrol version. However, the company points out that national and regional subsidies will defray the cost of the car there and in Europe. Nissan and Renault plan to reduce the cost to consumers further by decoupling the cost of the battery from the car under a leasing scheme, allowing them to sell the vehicles at a price comparable to similar conventional cars. In marketing electric cars, the companies also plan to tout lower running costs. In Israel, the two carmakers are joining forces with Better Place, a US company building a nationwide recharging network for electric cars, including battery-swap stations where motorists can exchange their depleted batteries. The project has the blessing of Israel’s government, which has enacted generous tax incentives for electric cars. Mr Ghosn’s decision to position Nissan as a frontrunner in electric cars has landed the company much-needed government financing, too. Britain and Portugal are giving the company loans and grants of undisclosed size to build new plants to make lithium-ion batteries for cars announced in July. Britain, which is trying to position itself as a hub for low-carbon technologies, is also expected to provide financial sweeteners to lure Nissan to make electric cars at its plant in Sunderland, north-east England. In the US, Nissan recently became the first non-US carmaker to qualify for a Department of Energy grant for clean-car technology. It will use the $1.6bn low-interest loan to retool its plant in Smyrna, Tennessee, to make electric cars from 2012. The missing – and still incalculable – piece of the equation now is the number of customers that will buy its cars. Extracted from The Financial Times Limited 2009.